The ADA was developed for the sole purpose of making sure that the disabled community was included in all areas of our society. This includes going out to eat with family, friends or just on their own. It also includes being able to go shopping, to the bank or to the library on their own. In the ADA Standards Section 226 and 902 speak about dining surfaces as well as work surfaces which, when designed correctly, gives people with disabilities the freedom to use facilities and commercial buildings independently. – A clear floor space positioned for a forward approach meeting the requirements for section 305 and 306 shall be provided. In the photo below, there is a clear floor space, but it is not 30″ minimum like section 305 requires. – A dining surface should be a minimum of 28″ a.f.f. and a maximum of 34″ a.f.f. in height. The dining counter in the photo below is 42″ a.f.f. and it did not have a portion that was lower. 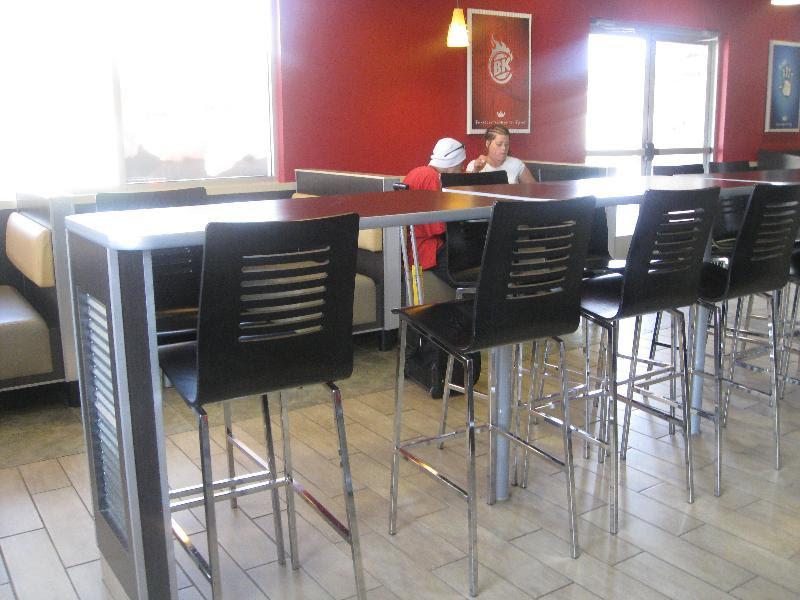 Since this is a different type of seating, it will also be required to comply, even though there might be fixed tables elsewhere in the dining facility. Furniture that is loose will not be subject to these standards. 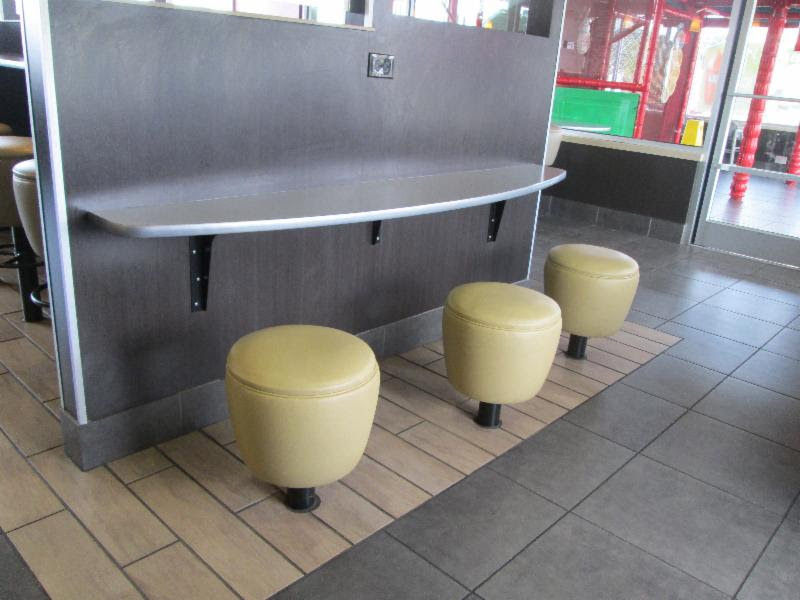 And because the standards apply to fixed “surfaces”, if there is fixed seating but no fixed tables, it will not comply. The booth in the photo below had fixed seating, but the “accessible” table was not built in. 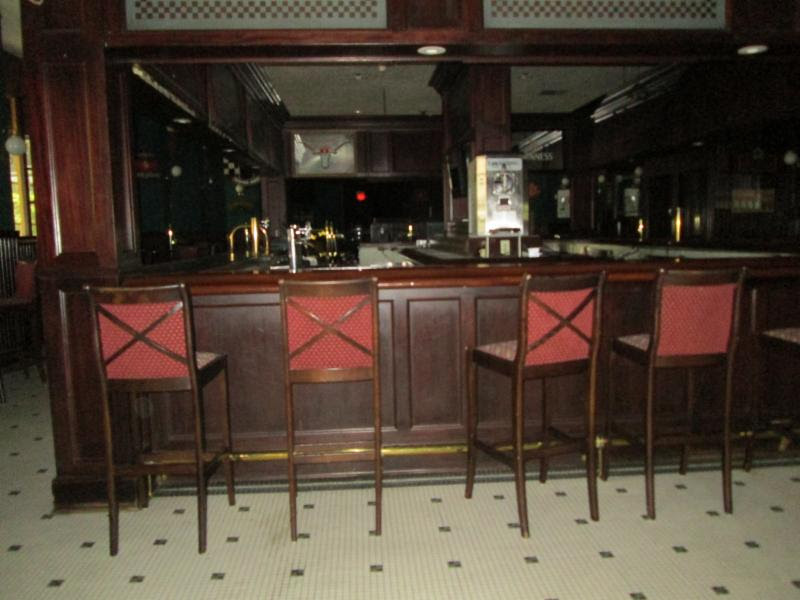 Bar counters must also be accessible (even if there are tables nearby that can be used to serve drinks). Since the requirements state that 5% of the counter must comply, the ADA requires that we take the entire length of the bar and make 5% of it accessible. 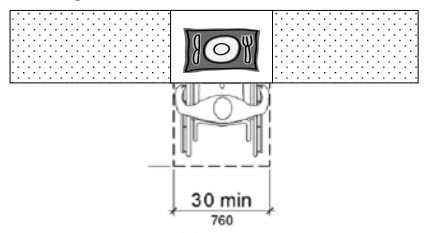 A minimum width of 30″ must be provided in order to meet the requirements of section 305. In addition, the depth of the counter must be a minimum of 17″ so that a forward approach can be achieved per section 306. 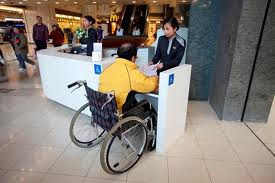 The bar in the photo below does have a lower portion but it does not have the 17″ in depth required for a wheelchair to pull up and drink at the counter. The Texas Department of Licensing and Regulation issued a Technical Memorandum TM 2013-14 which explains how they would like the amount of space required for a wheelchair at bars to be calculated. They explain that a measurement of 18″ per person shall be used to calculate the number of seating and standing capacity of a dining surface. Then we take 5% of that number to determine the number of accessible spaces required at the bar. Section 902 also discusses non-employee “work surfaces”. 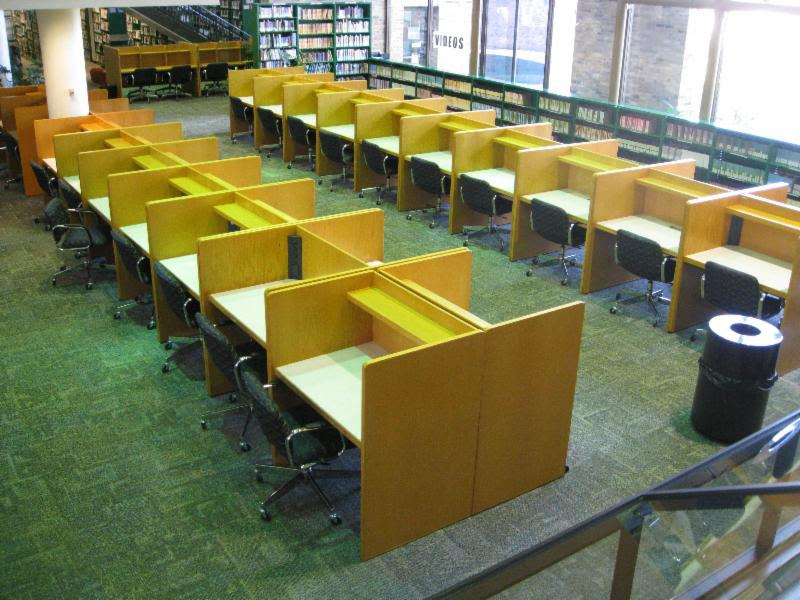 These are surfaces such as check writing surfaces at retail stores, counters that are used to fill out forms at reception desks or bank teller counters, and even counters that are used to study like in a library. 5% of the work surfaces must meet the requirements. 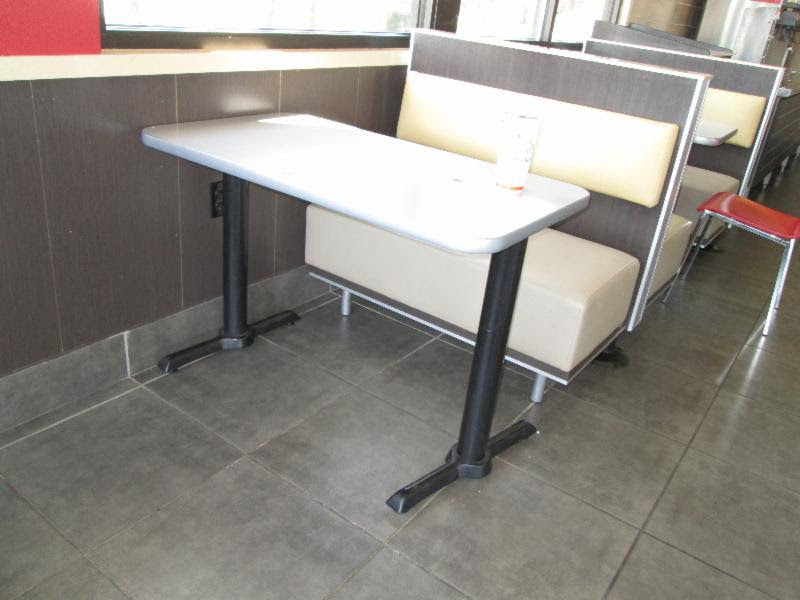 Work surfaces have a forward approach with proper knee space and be no higher than 34″ a.f.f. A lower dining counter at 34″ a.f.f. maximum is required for people in wheelchairs, but we have to keep in mind that a “clear” floor space that is 30″x48″ is also required. The counter below is at 34″ a.f.f. 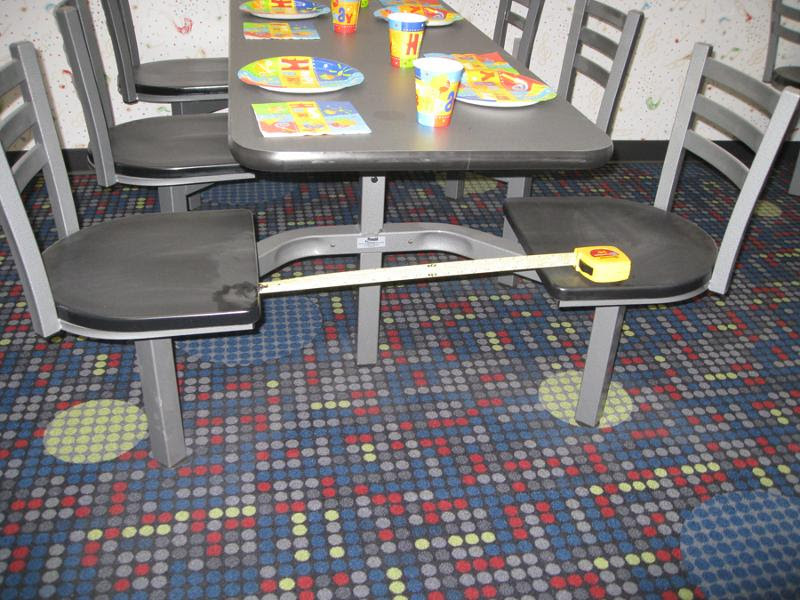 but the fixed stools do not allow a wheelchair user to sit at it.